Published Bestsellers: "So dip your toe into this special collection or take a plunge; you will not be disappointed"
"So dip your toe into this special collection or take a plunge; you will not be disappointed"
"Serendipity is a ‘Magic box of delights’. The author waves his wand and out come amazing stories of adventure, humour, initiative, nostalgia and chance. Sir Edward Elgar portrayed friends and family through music in his ‘Enigma Variations’. In Serendipity we observe people John Butler knew through the written word. Short stories are snapshots of people and places. Writing stories enables the author to really get to the bottom of something, rather than wander through life in an amorphous bubble. Like a Magic Box Serendipity allures with clever use of pun, alliteration, metaphor and simile; such as ‘flying filth’ and ‘minnows of boys like pilot fish leading a whale shark’…and many others. The stories are brief but perfectly constructed and of infinite variety. 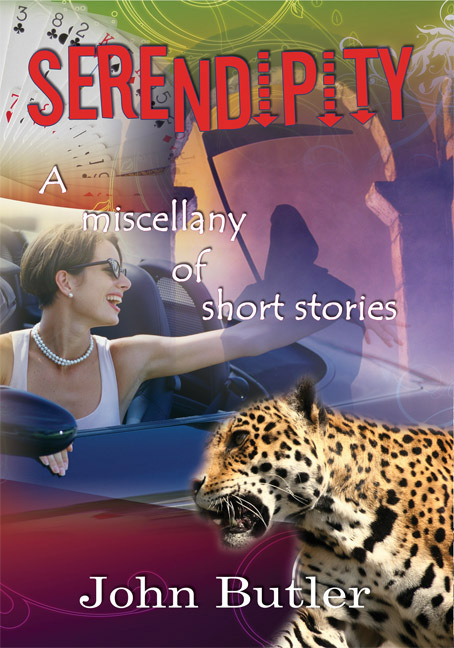 So dip your toe into this special collection or take a plunge; you will not be disappointed."